Do you Suffer from Sweaty Feet and Palms? It is really embarrassing when you have to shake your sweaty hand in social gatherings. Do not worry as you are not the only one with sweaty hands or feet. Many other people all over the world experience the same. Medically this condition is termed as hyperhidrosis. Hyperhidrosis is also known as excessive sweating. About more than 2-3 percent people globally suffer from it. Excessive sweating becomes the cause of unhappiness as it hampers your romance, complicates your interaction with social and business. Excessive underarm sweating also ruins your clothes. If sweating of palms and sole is severe you will find it difficult even to hold a pen, grip steering or wear shoes. Hyperhidrosis may be caused due to infections, endocrine diseases, neurological issues such as Parkinson’s disease, HIV, shingles, hyperthyroidism, TB, and diabetes. But in most of the cases, healthy individuals suffer from it. It may be triggered by anxiety, anger, and other emotions, heat, alcohol abuse and obesity. But again most of the sufferer of hyperhidrosis suffers from it irrespective of the weather or their mood. Tomatoes are a wonderful home remedy to treat sweaty feet and palms. It is rich in antioxidants and vitamins. It has astringent properties and prevents the sweat to seep out of pores. Make a habit of drinking a glass of tomato juice every day. 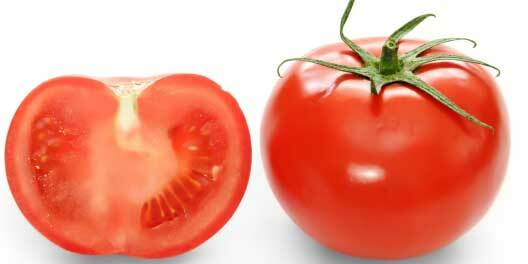 Also, apply tomato juice or rub a slice of tomato on your feet palms and underarms to prevent excessive sweating. Lemon juice is one of the cheapest as well as most refreshing beverage rich in vitamin C. It detoxes the body and acts as astringent. 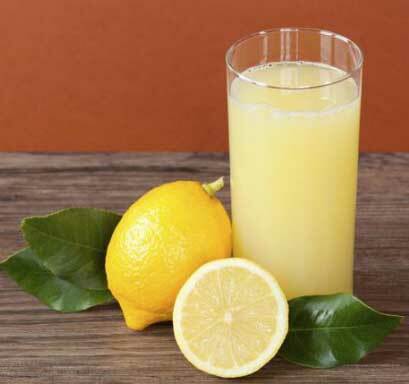 Drink lemon juice. You can also use it topically by applying lemon juice on your palms, feet, and underarms with the help of a cotton ball. The fragrance of lemon juice will also act as a deodorant. For best results mix lemon juice and vodka and rub it on your hands and feet, After 20 minutes rinse it off. This will slow down the activity of sweat glands and will relieve excessive sweating. The alkaline nature of baking soda can treat hyperhidrosis. Take 3 tablespoons of baking soda and add it in a cup of warm water. Soak your hand in this solution for few minutes. Repeat this every day. Also, wash your feet with the solution and dry them with a towel. You may also apply this solution on your underarms. In a few days, you will see the difference. 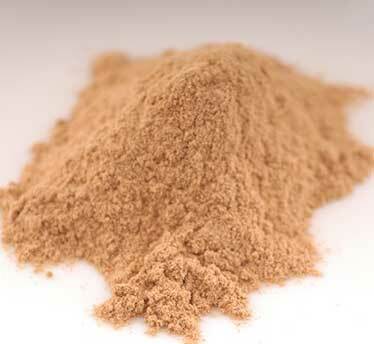 To treat hyperhidrosis naturally you may use sandalwood powder. For this mix sandalwood powder with lime juice and rose water and apply it on palms and feet. Let them dry under a fan. This is followed by rinsing it off with water. Repeat this for a month to get the desired result. 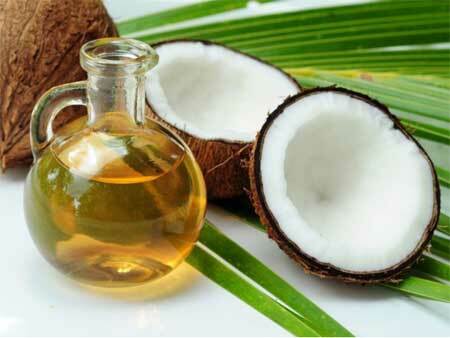 Coconut oil is one of the best home remedy to treat most of the health issues. Coconut oil is anti-perspirant. It contains lauric acid and is anti-bacterial. Rub 2-3 drops of coconut oil on your feet and palms daily. Apple cider vinegar is antibacterial. To relief sweating add a cup of ACV to a tub filled with water. Soak your hand and feet in it for 20 minutes. 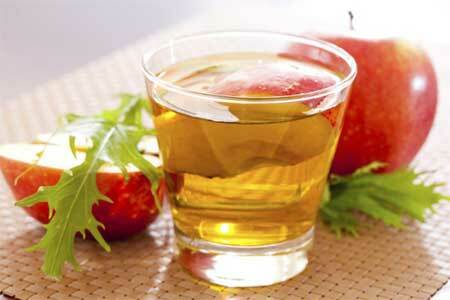 Apple cider vinegar has astringent properties. It will tightens the pores and will reduce excessive sweating. 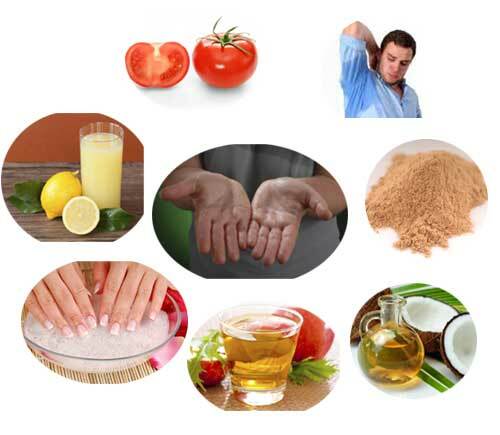 So as you can see there are six wonderful home remedies to treat hyperhidrosis. Try any one of them and get rid of excessive sweating.